Nellie Eden and Claire Burman of Babyface. How did you meet and what's the key to a successful working relationship? We both studied at the University of Sussex and met there over five years ago. Definitely open communications! We get to our studio in East London for around 10am everyday. Usually we have a little huddle where we go through our to-do list. We work with an amazing team of freelancers, interns and contributors, so job-dependent, we'll splice up the load. I wish we could say that it's high glamour, but in all honestly it's stationery and laptop heavy. If we're not desk-bound, were out at meetings. Lots of post-it notes go into the making of Babyface. Rather boringly we clock off at 6pm too and head back south on the overground. What makes an excellent client? That's such a great question. Someone who's got a really good budget, is totally down with your creative and loves being flexible, responsive and supportive. Having said that we love a challenge. We work with lots of our clients again and again so the relationships become really personal and positive. What’s the biggest misconception about Babyface? That we're a model agency. Bye. What’s been your biggest triumph as a company? Having our own studio space. Being able to do it full time, and the forging the beginnings of a team. Abondance Matanda, who's a bombastic poet and renegade wordsmith. Amika George, 19, who started the #FreePeriods campaign and June Eric-Udorie, the 18-year-old activist who got feminism on the A-Level politics curriculum in the UK. Also, Mata Marielle a MUA who is building her own make-up empire with Matalabs at only 19. How important are relationships with clients and creatives for Babyface, and what do you think are good ways of nurturing them? They're our life blood. I think the best relationships are honest and trusting. Open communication always help and face-to-face time as opposed to email. Time or lack thereof. Also, rude people, lol. Where do you look for great people to work with? Instagram, for all its flaws, it is an immensely useful tool for discovery. We also inevitably end up meeting likeminded people at events, talks and parties. Your community is full of such incredible women – what criteria do you look for when you’re working with someone? I think that's very difficult to distill. We think authenticity, originality, an opinion, a skill and a general positive stance on helping others. How important do you think the concept of mentoring is for creatives? Mentoring is everything. London is an incredibly full on and intense city so it’s important to have a support system in place. We've found being mentored so nourishing and critical in terms of both personal and professional growth. 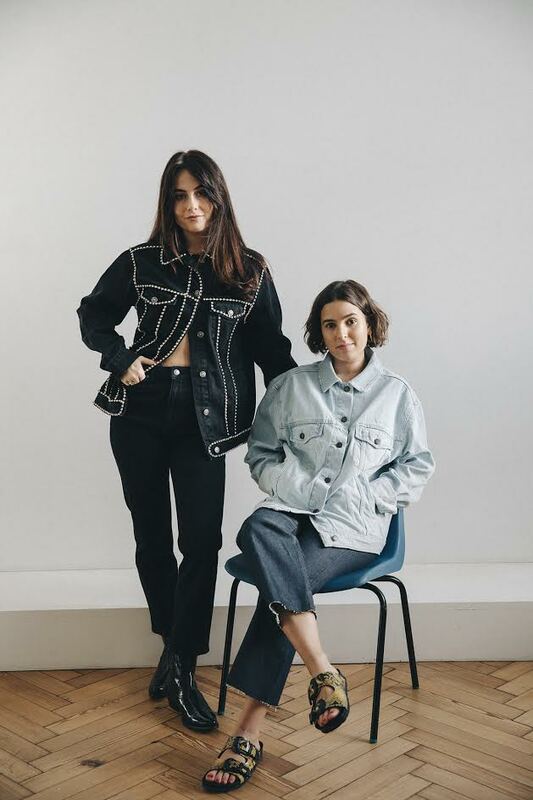 From 18 - 21st April, Nellie and Claire will be hosting a Babyface x Marques Almeida pop up. Full info here.